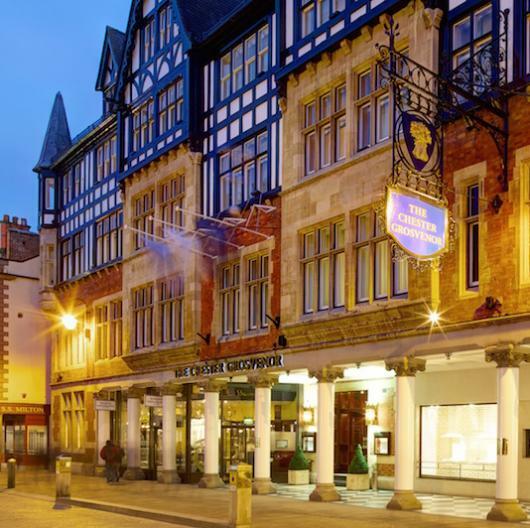 The Chester Grosvenor hotel is built on the site of the Royal Hotel, which opened in 1785. The Royal was a hot spot for Chester socialites, keen to attend card assemblies, concerts and balls. It was bought by the Earl of Grosvenor in 1815 and rebuilt in 1863 to become even more impressive. Contemporaries proclaimed it “A magnificent structure with rooms fitting for the reception of Royalty.” This was probably just as well; it housed Edward, Prince of Wales, back in 1869, as well as Princess Diana more recently.